In this week’s blog edition, we’re going to tackle the issue of enforcing compliance within a franchise business model. Every successful franchise operation depends upon compliance for success and monitoring these issues extend to the smallest of details. This is because what the compliance actually ensures is the brand itself. Compliance is about standards. Standards of operating procedures such as hours of operation, royalty payments, corporate paperwork and even mandatory attendance at annual brand functions. The following is a list of tips that can help franchisors maintain tight—but fair—control of their nationwide enforcement operations. What makes the U.S. Constitution such an amazing document is that it has been described as a living document. It’s open to both interpretation and amendments—all to ensure that the brand it was meant to protect is flexible and forever. In this case the United States is protected. Likewise, franchise brands need to have a sturdy, but flexible compliance code of their own. Franchisees exploring the investigative process should be able to clearly define exactly what is expected of them as business owners. The compliance codes should also clearly spell out precisely how infractions will be dealt with. If you happen to live in a community with HOA standards, you should instantly know what this means. 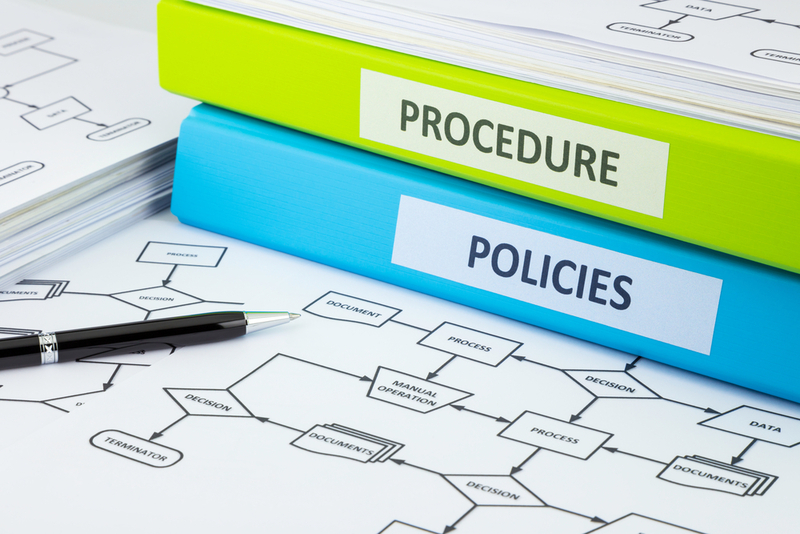 The policies and procedures spelled out in the franchise compliance documents should operate just the same. When compliance issues come up with a particular franchisee, each instance should be dealt with on a case by case basis. Compliance officers of any franchise brand must be delicate in their means, but firm in their answers. Often times, careful diplomacy is needed so as not to disrupt what may otherwise be a finely tuned and income-producing franchise. Enforcement is important, because without it you risk allowing the development of rogue franchisees, perhaps intent to do things “their way.” Every franchisee belongs to the same brand and all variances should be treated equally. The correct terminology here is “our way.” Be polite, but firm in enforcing your brand’s compliance efforts because how you remedy a particular compliance and enforcement situation says a lot about your organization as a whole. Successful franchise brands often regularly seek information and advice from their franchisees. Why should the compliance and enforcement issues be any different? In eliminating the “us vs. them” setup between franchise brands and their operators, why not invite select members of your organization to sit on a committee which enforces its own rules? A periodic review of the rules necessary to operate a compliance program is a good idea. Input from successful franchisees on how best to implement, police and determine proper enforcement and penalties is a win-win situation. If you haven’t considered this option for your franchise brand, seek out the opinions of a few of your best franchisees. You could be laying the groundwork for a future of real cohesiveness. The previously mentioned tips on ensuring compliance success within your franchise system are worthy goals for any successful brand. Open dialogue can go a long way toward the avoidance of a compliance incident turning into a much larger issue. Put some thought into a review of your franchise brand’s current compliance and enforcement efforts. Could your living document benefit from a tune-up? There’s also a way to ensure that only the most compliant franchisees are a part of your system. Knowing which existing and potential franchisees best fit your business concept sets your franchise up for better long-term success. Proven Match is the proven solution in determining those factors. Through our proven behavioral assessment techniques, predictive analysis becomes predictive success for your franchise concept. If you’re ready to show your leadership by getting started, give us a call and we’ll put you on the path to a more productive year in 2016.